Discussion in 'Fletcher Knives' started by T. Erdelyi, Apr 3, 2017. Got my Fletcher Knives Karniboro Cleaver wrapped in with Natural micarta over black liners with a CPM154. 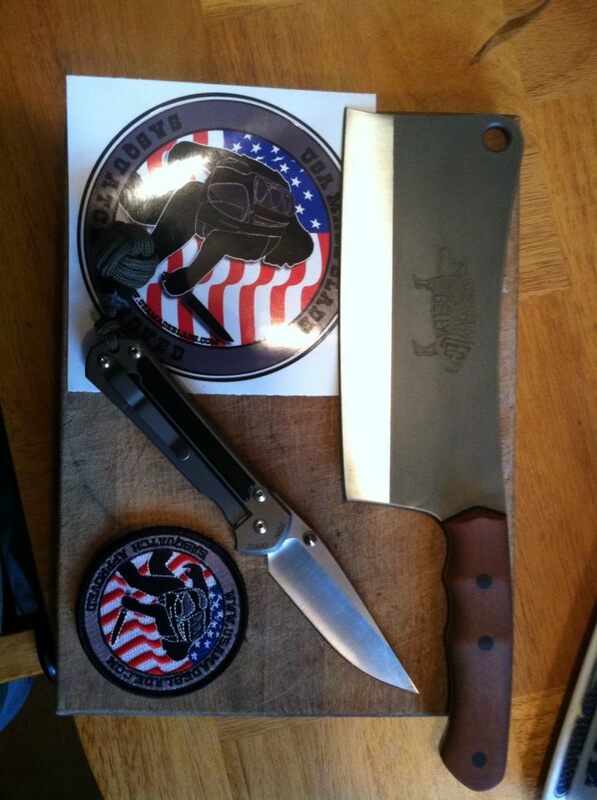 Thanks Dylan (and Scott from USA Made Blades) the Cleaver is awesome. I didn't get to use it yet, the kids made dinner tonight and they loved it. 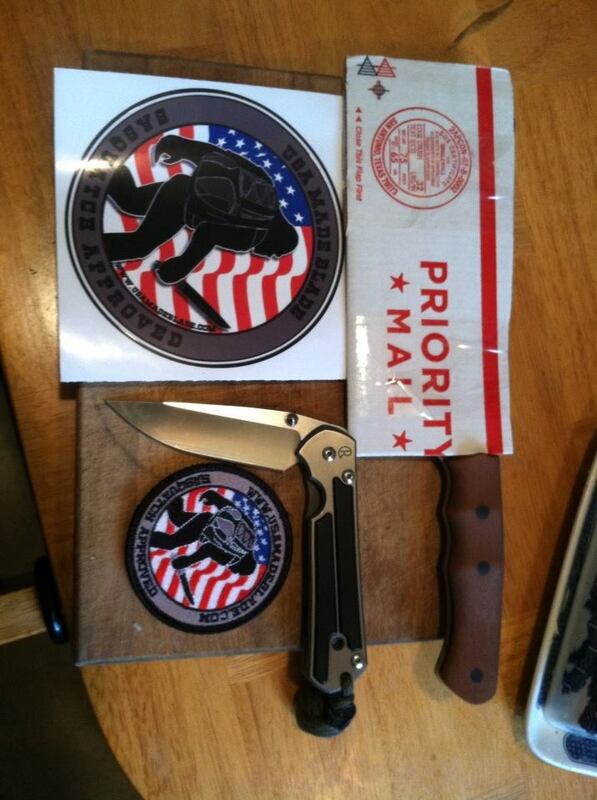 BTW the Sebenza I already had, (it was a gift from another forum friend), I used it to open the box . 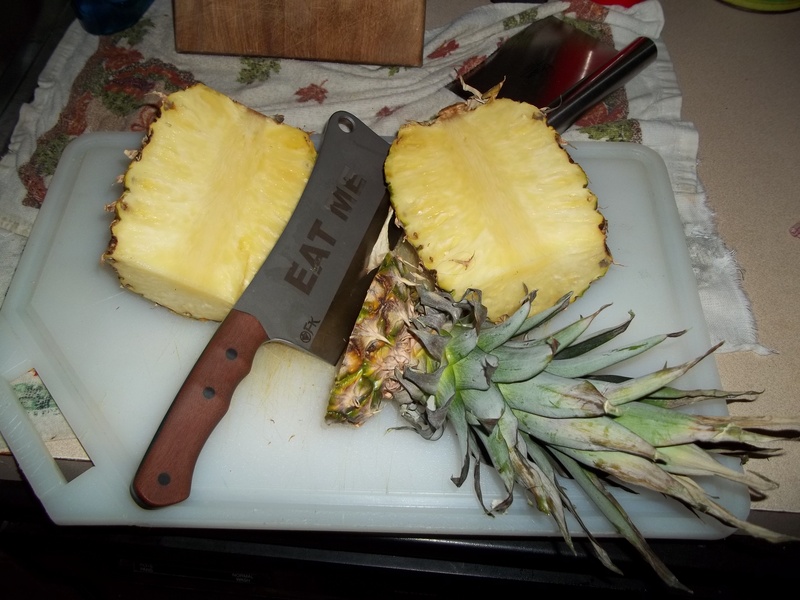 They used it to chop up the fruit and veggies for grillin', it worked flawlessly. 154CM was shaving sharp, the weight and balance are great for a variety of hand sizes and gripping styles, it's comfortable enough to choke up on the handle and use it for slicin', dicin' and choppin'. I've found my new kitchen/chef's knife when I make the next batch of chicken paprikas I'll take some better pics and post them up with my Nagymama's (Grandmama's) recipe. 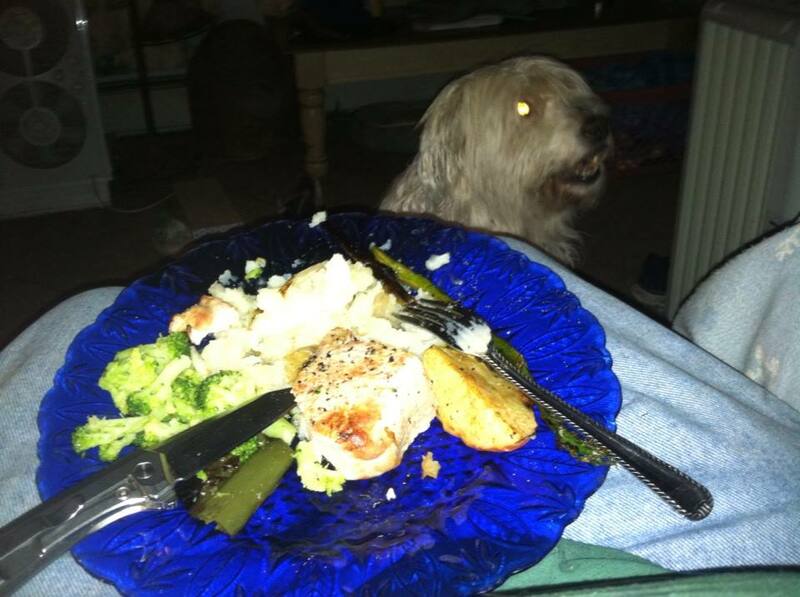 Dog's hopin' a piece of the grilled pork chop falls off the plate. Thanks again Dylan (and Scott) . You're welcome bro! USA Made Blade is really to thank. Scott, Kevin, and everybody else there do awesome stuff for the community! They're real knife aficionados, who also sell knives, and not the other way around. That makes a huge difference. They're us. That's pretty cool. 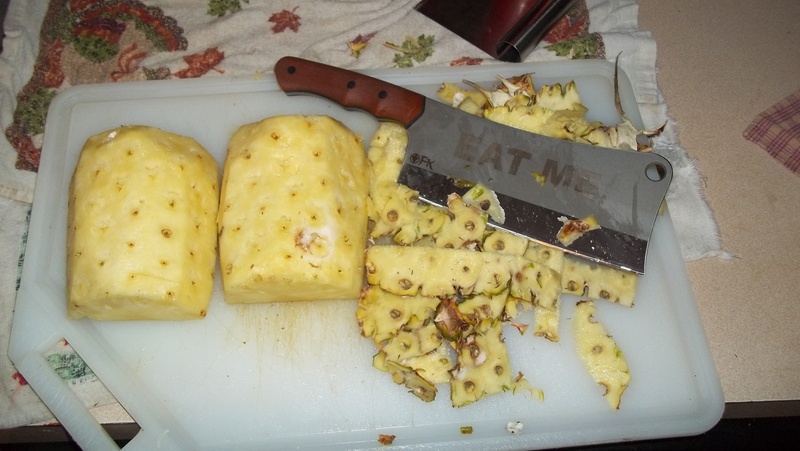 Haven't made the chicken Paprikas yet but the Karniboro has not sat idle one day, the Mrs was makin' some kind of pineapple dinner biscuits and I was attacked by the pineapple and made short work of de-animating it and insuring it would never attack anyone again. you should definitely check out Foxwalk Primitives video on Youtube from the last visit to USAMADEBLADE's open house. There was some good discussion regarding blade deflection and such when chopping into "melons"